BURLINGTON, Vt. - Dennis Hall spends much of his time monitoring Lake Champlain. "Normally there's no noise. It was different. Different. And so clear," said Hall. The Panton man is looking for a legend. He made headlines in 1985 when he claimed to spot the lake creature, known as Champ. "Something made the noises and it's totally amazing," said Hall. Since then, he's been chasing Champ trying to record the mythical monster's every move. 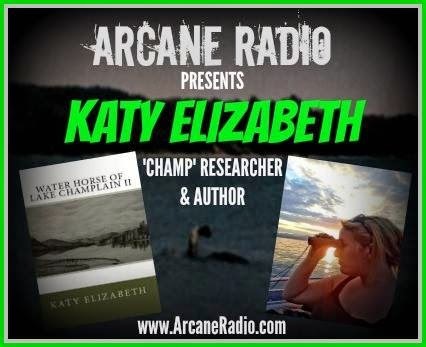 And now, Hall has teamed up with Katy Elizabeth, who runs the organization, "Champ Search." During recent surveillance, they say they made another surprising discovery. "I was in total shock," said Elizabeth. A beluga whale in Lake Champlain. "I was listening with the hydrophone and all of the sudden I started hearing 'eekeeekeek,' like monkey noises and it was strange and then clicking like 'click, click, click,'" said Elizabeth. The team used underwater audio testing equipment and claim they documented a rare vocalization used by only a handful of species to find food. None of which should live in a fresh water lake. "Everything is pointing toward belugas or some other animal, not native to this lake that is in here feeding," said Hall. And Hall says he even saw something big, white and torpedo shaped nearby. Reporter Darren Perron: Could this be true? Bill Ellison: Well, it could be true. I think it's a highly unlikely scenario. Elliston works at Echo Lake Aquarium and Science Center in Burlington. He says what Hall mostly likely spotted were sturgeons, similar in shape with bright white bellies. He doubts a beluga whale could live in Lake Champlain. The closest any have officially been seen in recent years-- the St. Lawrence Seaway near the Richelieu River. It connects to Lake Champlain. But Elliston says it would be a difficult migration through canals. "Not only would they have a hard time getting here, but they'd have a hard time living here. They live in salt water. I think it's really highly unlikely that a beluga whale could swim up the seaway, up the Richelieu River and Lake Champlain without being noticed by anyone," said Elliston. The mouth of the Otter Creek dumps into Lake Champlain. It is exactly a half mile from this point upstream where the researchers got their readings. And the readings were taken about 8 miles from where a fossil remains of a beluga whale buried in clay soil in Charlotte. It was unearthed during railroad construction in 1849 and is now on display at the University of Vermont's Perkins Geology Museum. The fossil was left behind when this area was an extension of the Atlantic Ocean until the glaciers receded and the land rebounded. Whales and other sea creatures were trapped and died, but some species managed to adapt like Atlantic salmon. "As far as I know belugas can't do that," said Elliston. There's also a recording captured by the Fauna Communications Research Institute in 2003. A group of scientists searching for signs of Champ for the Discovery Channel recorded what sounded like a beluga whale as well. "It's interesting. 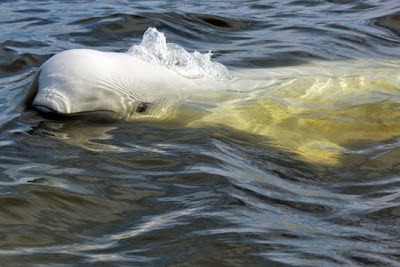 If there are belugas in the lake, things are changing," said Hall. Hall says evidence is stacking up that something's in the water and he now believes Champ may have company. "Which is more far-fetched-- champ or beluga? Something is making the noise," said Hall. Bangkok: Rampeung Onlamai, 57, of Samkok, Thailand, was getting out of the shower when the huge snake sank its fangs into her right hand and attempted to drag her down the drain. She reportedly grabbed a nearby broom to fend it off and screamed for her daughter's help who rushed to her rescue and pried the python's head off her hand. Rampeung was later taken to hospital for treatment. Wildlife officials rushed to the spot to capture the snake. Pythons are found in sub-Saharan Africa, Nepal, India, Sri Lanka, Burma, southern China, Southeast Asia, Philippines, Indonesia, New Guinea and Australia. I occasionally listen to The Archers on the car radio driving to Mass on Sunday mornings. Yesterday I was startled to hear Jennifer Aldridge tell her husband Brian that she planned to hold a séance; I suppose this was written into the script as a nod towards Halloween. Brian, naturally enough, opposed the idea, not for religious reasons but because it’s not the kind of activity that one should get up to in middle class circles in Ambridge. Jennifer laughed it all off; “It’s only a bit of fun” she told him. The youth was exorcised in St Louis by Jesuit priests. William Bowdern SJ, the lead exorcist, was in no doubt that this was a case of genuine possession. 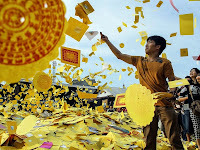 The whole process lasted a month, ending successfully on Easter Monday. Significantly, Bowdern fasted during that month, in acknowledgement of Jesus’ own warning that fasting is as essential as prayer when engaging in serious spiritual combat. The mention of Ouija boards reminded me of my own youthful folly in this area. As a student at Cambridge in the 1960s I took part in a séance organised in Magdalene College by some undergraduate friends. I was motivated by sheer curiosity to see what would happen and it was certainly bizarre and scary to watch the upturned glass move fast under its own volition round the table. I can’t remember the questions we asked the “spirit” we seemed to have conjured up and, feeling uneasy about the whole incident, I never returned for follow-up séances. I now see it was a stupid and dangerous activity to have engaged in. I suspect that modern man rejects Satan because of films like The Exorcist; sensational Hollywood horror treatment turns the story into a creepy thrill that is dismissed as sheer fantasy. But as CS Lewis reminds us in The Screwtape Letters, the Devil doesn’t generally bother with spectacular phenomena such as possession or conjuring up spirits; why bother, when he can trap us with greater success through our own human weaknesses, our vanity, our egotism, our imprudent curiosity? HONOLULU (HawaiiNewsNow) - Honolulu's Police Department's downtown location gives some officers an eerie feeling late at night. A new video posted online by HPD shows one officer describing one night where she heard a voice calling out from an open cell. She said she was doing routine cell block checks, and just kept hearing a male voice yell, "officer, officer." When she went to go look, all the cells were empty. About ten years ago in the same area, Officer Benjamin Lloyd says he was working late and found a man lying down in a jail cell, but the door was open. Lloyd said he locked it and went to go get his boss, but when they came back, the locked cell was empty. "I know what I saw and I know I wasn't dreaming," Lloyd said. "Most of the officers will tell you they don't believe in ghosts. But most of them will admit to you they had an uneasy feeling, walking the halls, especially at night."